Having the ability to scan products sales through your till is great for your business. It makes transactions faster, it reduces the chances of incorrectly entered prices and it ensures more accurate end of day reports. Each barcode is linked to a specific product code and price, so adding an item and price to a sale just takes a quick scan. It’s easy to see how this works in a situation where product prices are fixed per item, but what about businesses such as butcher shops or delicatessens where produce is sold by weight? In these situations, it is impossible to link a product to a fixed price in your till, as the price changes depending on how much is bought. It is possible to programme a “per kilo,” “per litre” or similar “per weight/per volume” price into your cash register, but this requires you to manually enter the number of kilos/litres/lbs being purchased with each sale, which can become impractical. You could also only sell produce in predefined volumes or weights, but again this might not be practical in all situations. In order to tot up sales via barcode scanning in such an environment, what’s required is some way to get your weighing scales communicating with your scanner and till. This is where the Price Embedded Barcode comes into play. 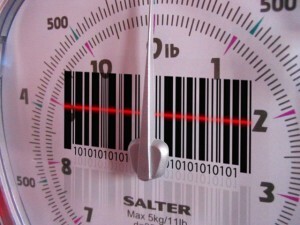 Also known as Data Embedded, Price Inclusive or Random Weight Barcodes, these contain two pieces of information, a product code and a product price. They may alternatively contain a product code and weight, but this is generally not recommended for most retail situations. 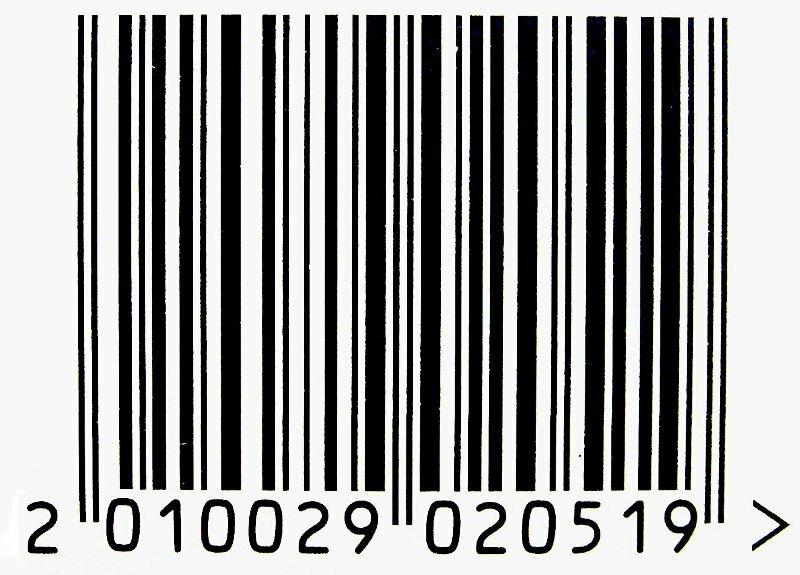 02PPPPPxCCCCz - This is a 13 digit barcode format known as EAN-13 or UPC-B. It must begin with “02″ or “20″ to inform the scanner and till that this is a price embedded barcode. The five “P” characters represent the product code, which should ideally be the same on both the scales and the cash register. All five characters must be used, so if a product code is “14″ it will appear in the barcode as “00014″. The “x” character is known as the price checksum. 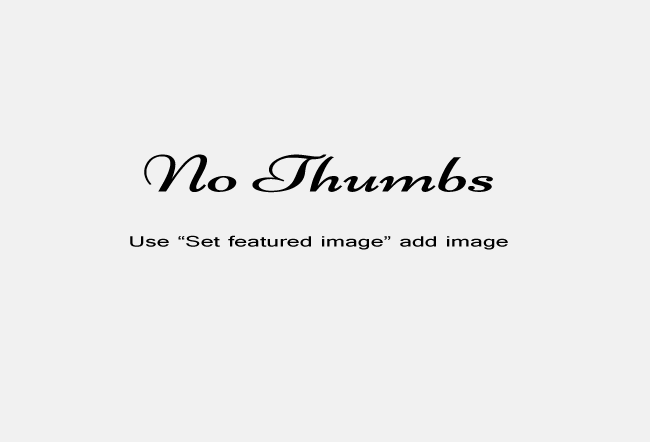 It is generated by the labeller and provides a way for the price to be verified as correct. The “C” characters represent the price of the item. An item priced €9.99 would appear as 0999. The “z” character is a checksum for the code as a whole. 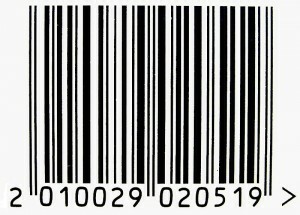 2PPPPPxCCCCz – This is known as a UPC-A code. It must begin with “2″ to inform the scanner and till that it is a Price Embedded Barcode. The other characters perform the same functions as in the EAN-13/UPC-B format. Barcodes in either of these formats can be reconfigured to allow longer product codes or prices. For instance, a UPC-B code with a five digit price would be in the form 02PPPPPCCCCCz with the price checksum omitted to allow extra space for the price. As long as the cash register can be configured to accept barcodes in this format – and all barcodes scanned are in this format – this should work perfectly well. When the correctly formatted barcode is scanned, the cash register can use both the product code and price information to tot up the sale, record the transaction and print a receipt. Naturally, the product codes used on the scales must match the codes in the till. There’s no need to enter the volume or weight sold, or any other figures apart from the cash tendered. This makes every transaction quick and easy.